Item # 310415 Stash Points: 2,495 (?) This is the number of points you get in The Zumiez Stash for purchasing this item. Stash points are redeemable for exclusive rewards only available to Zumiez Stash members. To redeem your points check out the rewards catalog on thestash.zumiez.com. 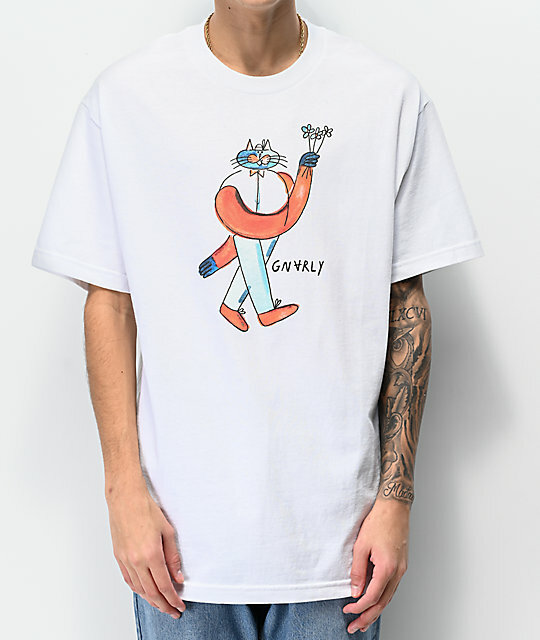 Add a whimsical look to your everyday style with the Lucas White T-Shirt from Gnarly. 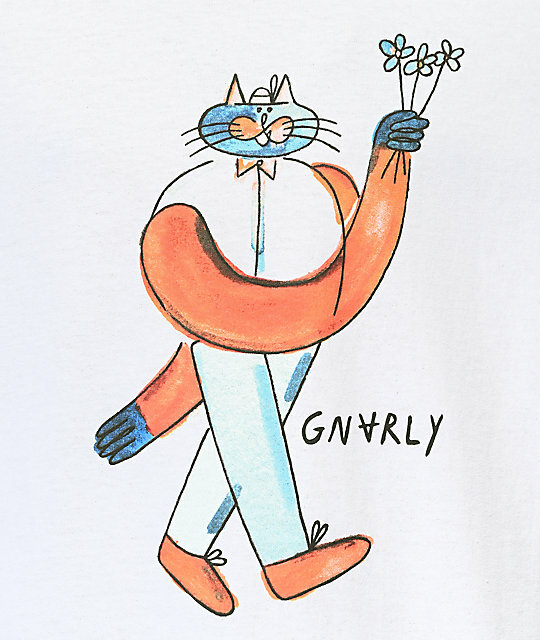 This plain white tee features a screen print graphic at the chest of a cartoon cat walking on two legs while holding a bouquet of flowers. Complete with a tagless neckline for comfort, the garment is perfect for showing your appreciation for felines. Lucas White T-Shirt from Gnarly. Cat doodle graphic screen printed at the chest.